The term "superfood" is defined by the Oxford English Dictionary as "food considered especially nutritious or otherwise beneficial to health and well-being". 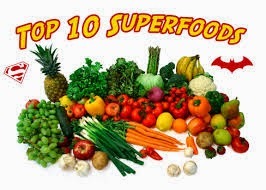 Today, the concept of "superfood" is commonly used to describe foods that are "nutrient-dense", in other words, have a high content of essential nutrients that our bodies require to grow and stay healthy, and in a reasonable number of calories at the same time. The essential nutrients include protein, carbohydrates, fat, minerals, and vitamins. 1. 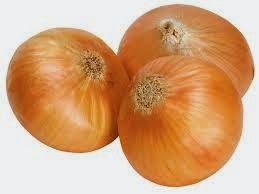 GARLIC & ONIONS - Diced or crushed garlic and onions flush the body of substances that cause DNA to mutate. 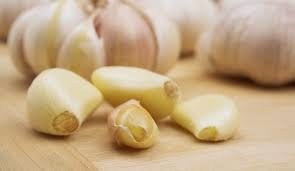 They are a great source of vitamins B6 and C. Garlic has also been shown to protect agains cancer. 2. SEAWEED - Seaweed is a marine algae which has been shown to enhance immunity. 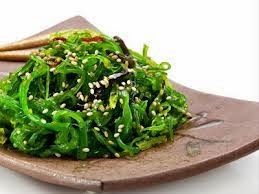 Seaweed can be steamed or boiled, then sliced and added to any salad. It can be found in Asian markets and many grocery stores. 3. MUSHROOMS - Shiitake, enokitake, maitake and oyster mushrooms stimulate the immune system and help prevent cancer cells from reproducing. 4. 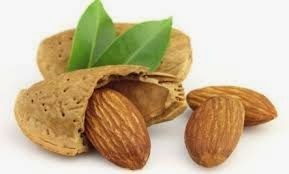 ALMONDS - Almonds are high in vitamin E, fiber, protein and many other important nutrients, and also contain antioxidants. Studies show that antioxidants in almonds reduce oxidative stress. 5. SOY - With high estrogen levels, you mammory glands are overstimulated, which increases your risk of breast cancer. 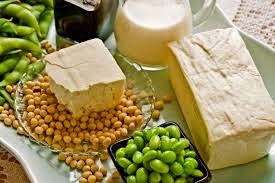 Phytoestrogens in edamame, bean curd, tofu, roasted beans and miso sou prevent estrogen from interacting with breast cells to reduce this risk. You can make your own miso soup buying a tub of miso paste (found in most health food stores) and mixing it with a couple of tablespoons of warm water. 6. 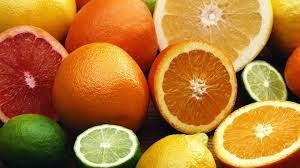 CITRUS FOODS - Citrus fruits such as limes, oranges, lemons, grapefruit, tangerines, and many others are great sources of vitamins A and C and fiber, as well as vitamin B6. Tangerines, mandarins or clementines are small juicy, sweet and less acidic than oranges; their skin usually peel off easily, which makes them popular with children. These citrus fruits are a great, easy and healthy snack for kids. 7. QUINOA - Quinoa makes a nutrient-rich substitute for any grain dish. It is high in vitamin B6, folate, fiber, protein,iron, and a good source of vitamin E, potassium, and selenium. Use it as hot breakfast cereal (works well with cinnamon). 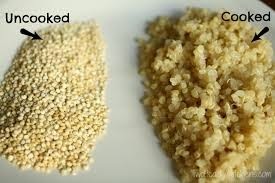 Quinoa is also gluten-free, so it is perfect for those with celiac disease. 8. 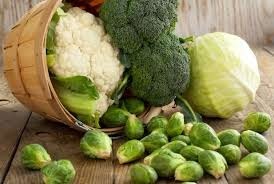 CRUCIFEROUS VEGGIES - These veggies belong to the cabbage family and include broccoli, cauliflower, kale and Brussels sprouts. Cabbage contains properties that stimulate our defense mechanisms. You can easily blanch cauliflower and broccoli as a side dish for dinner; it will add to your healthy diet. 9. 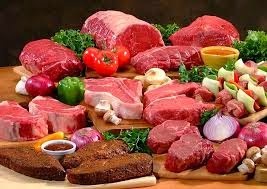 LEAN RED MEATS - Lean red meats are high in vitamins B6 and B12, protein and other nutritious sources. Extra lean cuts of beef include eye of round roast, top round steak, and top sirloin steak. Lean cuts include round steak, chuck shoulder roast, shoulder and strip steak, tenderloin steak, and T-bone steak. Lean lamb cuts are sirloin and shank cuts from the leg. 10. EGGS - Eggs are high in vitamin B12, protein and a good source of vitamins D and B6, and iron. 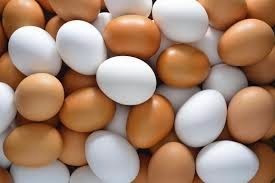 The belief that brown eggs are more nutritious than white is false: chickens with white earlobes lay white and those with red lobes lay brown; the nutrients are similar. Disclaimer: Written by Stella V. All opinions are my own.